Somerville´s comment didn´t really give that much away. 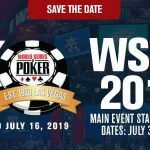 The industry has known since last summer that PokerStars had plans to launch a 6+ Hold´em game at some point; and, with the recent withdrawal of the Fusion game from the poker client, it doesn´t take a lot of imagination to guess what is coming next. It was just a question of when, rather than if. What is 6+ Hold´em Poker? 6+ Hold´em Poker is a variant of Texas Hold´em Poker with cards ranked between deuce and five removed from the pack. With fewer low value cards, players are dealt premium starting hands more often, so there tends to be more players involved in every hand and more pre-flop and post-flop action. The game is particularly popular among high stakes players at sites that already host the game. Because the lower-value cards are removed from the pack, it becomes mathematically harder to make a Flush or Three of a Kind. Consequently the hand ranking system for 6+ Hold´em is slightly different from “standard” Texas Hold´em; with a Flush ranking better than a Full House, and Three of a Kind ranking better than a Straight. (Note: PokerStars is yet to confirm this ranking system). 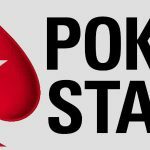 When PokerStars confirms the launch of 6+ Hold´em, the announcement will likely be accompanied with phrases such as “fast-action poker game” and “exciting opportunities to win big”. Undoubtedly there is more action in 6+ Hold´em Poker than in the standard game because more hands see the Flop; and that, when you win a hand, you will generally win a bigger pot than you would playing Texas Hold´em. However, it´s not fast. From our experience of playing 6+ Hold´em Poker at other sites, the more players there are involved in a hand, the longer the hand takes to complete. If you are not involved in the hand, you could be waiting up to five minutes to be dealt into the next hand. Furthermore, as well as there being “exciting opportunities to win big” there are also opportunities to lose big – a factor players should take into consideration before joining a table at their usual stake level. If you have not been in the Spin & Go lobby at PokerStars recently, it could be worth a visit. 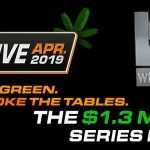 For a limited time only, the site is hosting Spin & Go games with buy-ins of $5.00 and $25.00 that have a top prize of $1 million. Although the probability of hitting the top prize is 1-in-10 million, if it is spun, the players who finish second and third in the game also win prizes of $100,000. In a slight change to the regular distribution of prizes, players who finish second and third in games with a 240x and 120x prize pool will also win 10% of the first place prize money. The additional winnings are deducted from the winner´s prize money; so in a $5.00 buy-in game in which a 120x prize pool multiplier is spun, the winner will receive $500 and the two runners-up $50 each. It´s not known how long these special Spin & Go games will be available, and the likelihood is that traffic to the games will decline once 6+ Hold´em Poker is introduced (if they are still available). So, don´t miss out on your opportunity to spin your way to a million dollars. 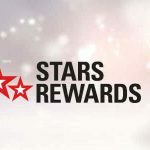 Visit PokerStars today; and if you do not yet have an account with the site, use the PokerStars Marketing Code PSA225 during the registration process in order to be eligible for a 100% bonus on your first three deposits up to a total of $600.